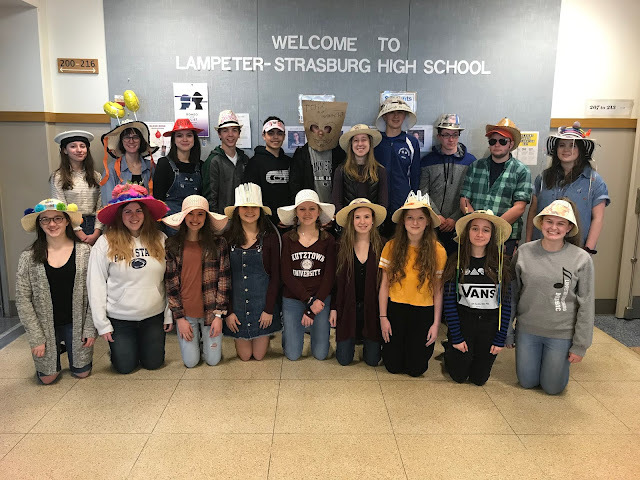 The Lancaster Mennonite girls basketball team has not yet won a game, and against the Lady Pioneers of Lampeter-Strasburg, it did not seem to stand a chance. From Laura Horner's three-point shot in the opening seconds, L-S took a lead it never relinquished, and put forth a dominating effort against the Blazers, who were clearly overmatched. That said, the Blazers fought, particularly on the glass, where they notched a few more second-chance points than L-S coach Anthony Fink probably would have liked. But it was from the perimeter that L-S did its damage with excellent shooting. Nevin Hoenninger, who entered the game second in Section Three of the Lancaster-Lebanon League averaging just over 17 points per game, made four three-pointers en route to a 24-point effort that led the team. Horner added 15 of her own, including a three, while Rachel Shortes and Brittney Zameroski also contributed from beyond the arc. In the first quarter, L-S held Lancaster Mennonite to just six points, with strong defense and transition play underscoring a solid effort. The Lady Pioneers scored 22 points in the opening period. Lancaster Mennonite struck first in the second quarter, but struggled to find good shot attempts thereafter, as Hanna Garber led a defensive assault that created several turnovers that turned into easy baskets. She totaled just five points, but easily created twice that with terrific passing and rebounding. At intermission, L-S led 40-19. They did not relent in the second half. Hoenninger took over during the third quarter, in fact, scoring seven points almost immediately upon the quarter's commencement. Meanwhile, the Blazers could find the bottom of the net just once, scoring only two points the entire quarter. That was enough for Fink to empty the bench, as members of the junior varsity team -- which won its game 42-35 -- had an opportunity to play the entire fourth quarter, and did so without incident, protecting the Pioneers lead, and helping them win 67-33. The Lady Pioneers now stand at an even 7-7, with a 5-4 record in their section that puts them tied for third. Entering the game, they stood 20th out of 35 teams in AAA, so in order to advance to the playoffs, they still have some work to do. They will travel to Columbia on Wednesday for what should be a winnable crossover game.